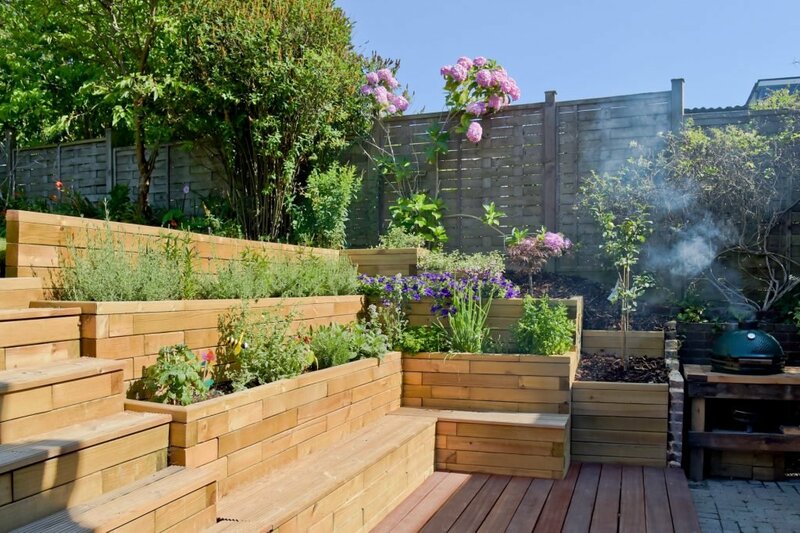 When it comes to retaining walls and terracing, safety and durability are the main concerns. Construction in stone may be the obvious first choice, but it is expensive, especially once the cost of the builders has been factored in. The cheapest option is timber boards, but these will warp and distort over time. They’re also often impregnated with nasty preservatives and are not very aesthetically pleasing. However, modular timber constructions, such as the unique WoodBlocX system, have none of these problems. 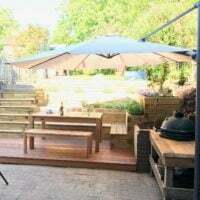 The beauty of modular systems is that they can be adapted to suit any size of project and budget, and because they are cheaper than stone or brick and better quality than other timber products, they are an ideal choice. 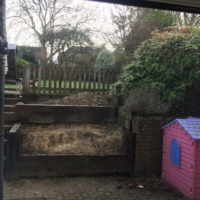 They are also really easy to put together, so it’s possible to do all of the work yourself if you want – which can save thousands of pounds compared with the cost of getting builders or landscapers in to build a stone wall. 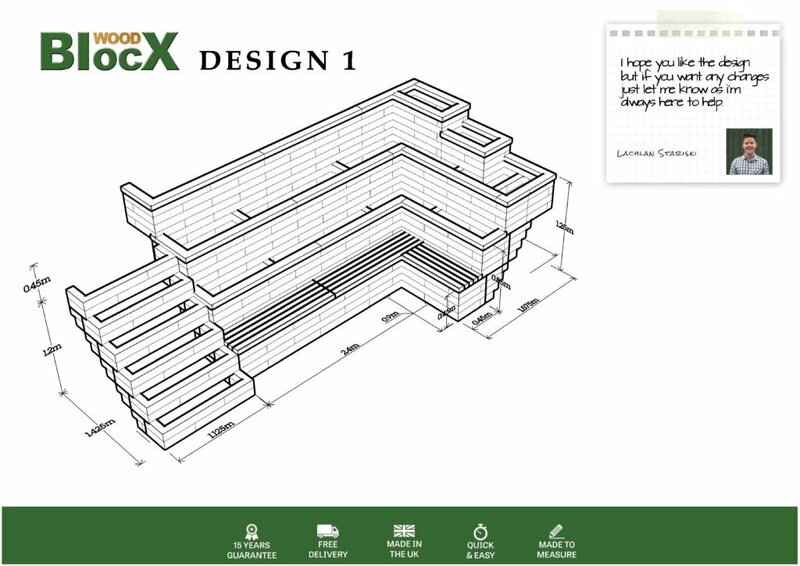 With WoodBlocX, all you need for the wall is supplied to you, so there are no hidden costs, and no need to calculate timber or stone requirements or factor in offcuts because all of that is done for you. Plus there’s no need for foundations or mortar. The BlocX can be left to weather naturally, which is great for a rustic look, or they can be painted if you prefer. 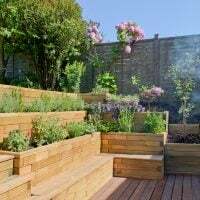 There are pre-designed, off-the-shelf, terracing and retaining wall options on the website, but if none of them fit the needs of your particular garden, use the online calculator to work out a rough cost for your project. 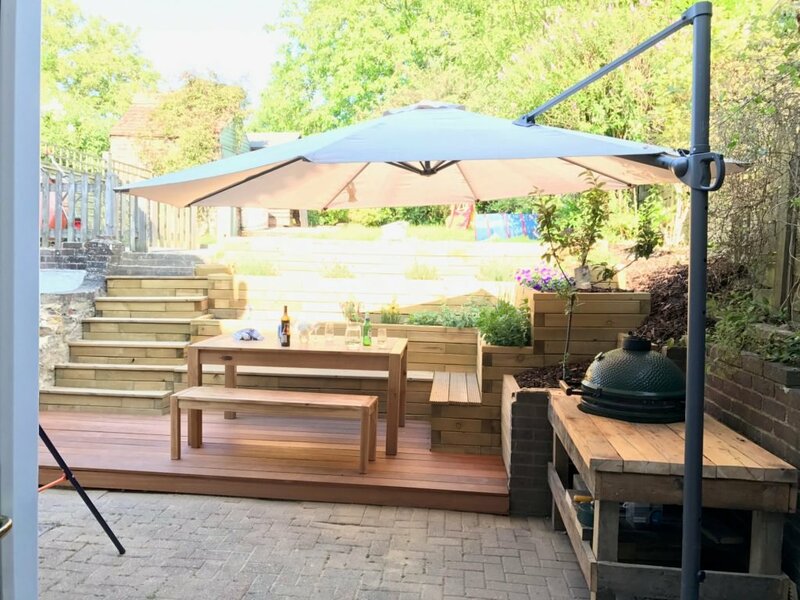 Alternatively, send WoodBlocX the measurements and your requirements and they will design it all for you and work out exactly what you need, all free of charge and with no obligation to buy. 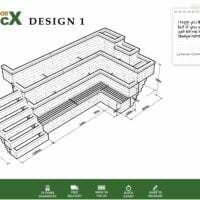 WoodBlocX walls are built with many individual pieces of timber (rather like long bricks), that are pinned together using plastic dowels. Each piece of timber – selected from only the strongest parts of the tree and never the heart - is pressure treated twice and because they are pre-drilled, the treatment penetrates almost 100% of the wood. 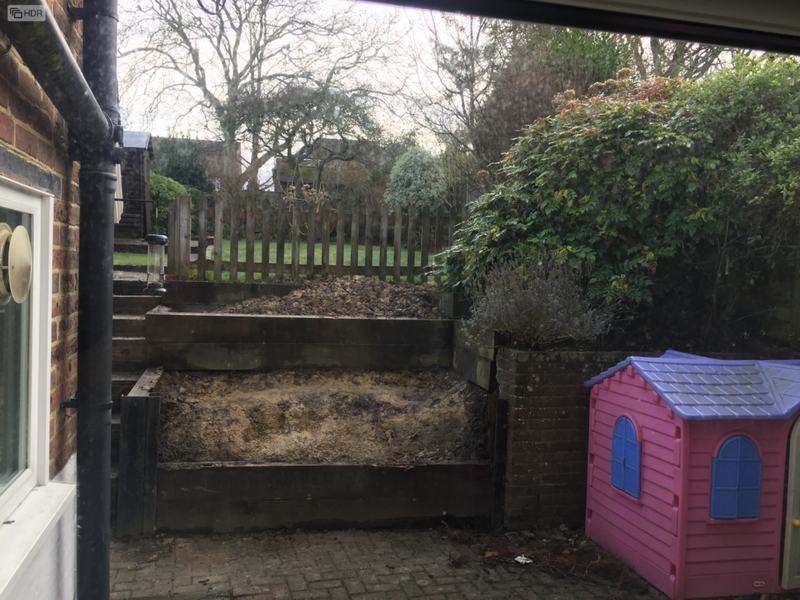 A WoodBlocX wall can be expected to last for at least 15 years, probably more. The dowels can each withstand 0.9 tonnes of sheer force, and the walls are strong under both tension and compression, so in some cases, they are actually stronger than the stone alternative. The many joints of the BlocX assembly system means that the walls are flexible enough to withstand frosts and ground movement, and won’t distort or crack under pressure. 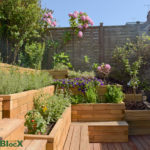 A single wall (each BlocX is 7.5cm wide) will hold earth to a height of 1m, and the narrow BlocX means that there is a lot more planting or path space above and below than there would be with something like bulky railway sleepers.